UK PPE signs 300 x 500 mm Caution asbestos wear self adhesive vinyl labels. UK PPE signs - 300 x 500 mm caution asbestos wear self adhesive vinyl labels. UK PPE signs 300 x 600 mm Caution asbestos wear protective self adhesive vinyl labels. UK PPE signs - 300 x 600 mm caution asbestos wear protective self adhesive vinyl labels. UK PPE signs 300 x 500 mm Caution asbestos wear protective 1.2 mm rigid plastic signs. UK PPE signs - 300 x 500 mm caution asbestos wear protective 1.2 mm rigid plastic signs. UK PPE signs 300 x 600 mm Caution asbestos wear protective 1.2 mm rigid plastic signs. 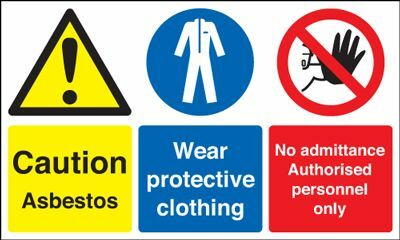 UK PPE signs - 300 x 600 mm caution asbestos wear protective 1.2 mm rigid plastic signs. UK PPE signs 300 x 500 mm Caution asbestos wear protective 1.2 mm rigid plastic signs with s/a backing. UK PPE signs - 300 x 500 mm caution asbestos wear protective 1.2 mm rigid plastic signs with self adhesive backing. UK PPE signs 300 x 600 mm Caution asbestos and wear protection 1.2 mm rigid plastic signs with s/a backing. UK PPE signs - 300 x 600 mm caution asbestos & wear protecti 1.2 mm rigid plastic signs with self adhesive backing. UK PPE signs 150 x 125 mm wear protective clothing self adhesive vinyl labels. UK PPE signs - 150 x 125 mm wear protective clothing self adhesive vinyl labels. UK PPE signs A5wear protective clothing self adhesive vinyl labels. UK PPE signs - A5 wear protective clothing self adhesive vinyl labels. UK PPE signs 100 x 250 mm wear protective clothing self adhesive vinyl labels. UK PPE signs - 100 x 250 mm wear protective clothing self adhesive vinyl labels. UK PPE signs 150 x 125 mm wear protective clothing 1.2 mm rigid plastic signs. UK PPE signs - 150 x 125 mm wear protective clothing 1.2 mm rigid plastic signs. UK PPE signs A5wear protective clothing 1.2 mm rigid plastic signs. UK PPE signs - A5 wear protective clothing 1.2 mm rigid plastic signs. UK PPE signs 100 x 250 mm wear protective clothing 1.2 mm rigid plastic signs. UK PPE signs - 100 x 250 mm wear protective clothing 1.2 mm rigid plastic signs. UK PPE signs 300 x 250 mm wear protective clothing self adhesive vinyl labels. UK PPE signs - 300 x 250 mm wear protective clothing self adhesive vinyl labels. UK PPE signs A4 wear protective clothing self adhesive vinyl labels. UK PPE signs - A4 wear protective clothing self adhesive vinyl labels. 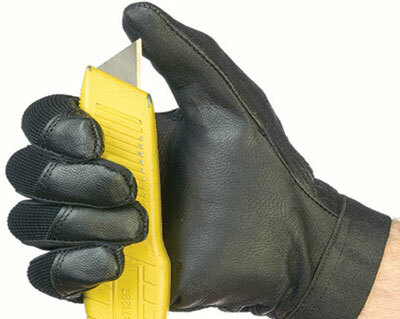 UK PPE signs A3 wear protective clothing self adhesive vinyl labels. UK PPE signs - A3 wear protective clothing self adhesive vinyl labels. UK PPE signs 150 x 125 mm wear protective clothing 1.2 mm rigid plastic signs with s/a backing. UK PPE signs - 150 x 125 mm wear protective clothing 1.2 mm rigid plastic signs with self adhesive backing. UK PPE signs 300 x 250 mm wear protective clothing 1.2 mm rigid plastic signs. UK PPE signs - 300 x 250 mm wear protective clothing 1.2 mm rigid plastic signs. UK PPE signs 450 x 450 mm wear protective clothing self adhesive vinyl labels. UK PPE signs - 450 x 450 mm wear protective clothing self adhesive vinyl labels. 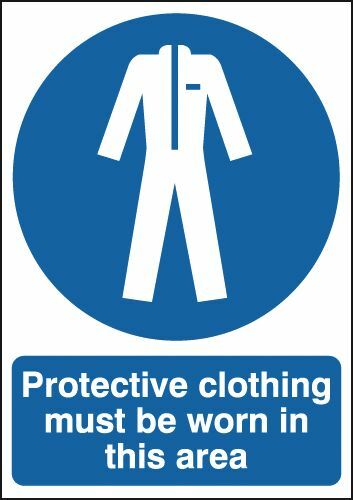 UK PPE signs A4 wear protective clothing 1.2 mm rigid plastic signs. UK PPE signs - A4 wear protective clothing 1.2 mm rigid plastic signs. UK PPE signs A3 wear protective clothing 1.2 mm rigid plastic signs. UK PPE signs - A3 wear protective clothing 1.2 mm rigid plastic signs. UK PPE signs A5wear protective clothing 1.2 mm rigid plastic signs with s/a backing. UK PPE signs - A5 wear protective clothing 1.2 mm rigid plastic signs with self adhesive backing. UK PPE signs A2 420 x 598 mm wear protective clothing self adhesive vinyl labels. UK PPE signs - A2 wear protective clothing self adhesive vinyl labels. UK PPE signs 450 x 450 mm wear protective clothing 1.2 mm rigid plastic signs. UK PPE signs - 450 x 450 mm wear protective clothing 1.2 mm rigid plastic signs. UK PPE signs A2 420 x 598 mm wear protective clothing 1.2 mm rigid plastic signs. UK PPE signs - A2 wear protective clothing 1.2 mm rigid plastic signs. UK PPE signs 300 x 250 mm wear protective clothing 1.2 mm rigid plastic signs with s/a backing. UK PPE signs - 300 x 250 mm wear protective clothing 1.2 mm rigid plastic signs with self adhesive backing. UK PPE signs A1 wear protective clothing self adhesive vinyl labels. UK PPE signs - A1 wear protective clothing self adhesive vinyl labels. UK PPE signs A1 wear protective clothing 1.2 mm rigid plastic signs. UK PPE signs - A1 wear protective clothing 1.2 mm rigid plastic signs. UK PPE signs A3 wear protective clothing 1.2 mm rigid plastic signs with s/a backing. UK PPE signs - A3 wear protective clothing 1.2 mm rigid plastic signs with self adhesive backing. UK PPE signs 450 x 450 mm wear protective clothing 1.2 mm rigid plastic signs with s/a backing. UK PPE signs - 450 x 450 mm wear protective clothing 1.2 mm rigid plastic signs with self adhesive backing. UK PPE signs A2 420 x 598 mm wear protective clothing 1.2 mm rigid plastic signs with s/a backing. UK PPE signs - A2 wear protective clothing 1.2 mm rigid plastic signs with self adhesive backing. UK PPE signs A1 wear protective clothing 1.2 mm rigid plastic signs with s/a backing. UK PPE signs - A1 wear protective clothing 1.2 mm rigid plastic signs with self adhesive backing. UK PPE signs A4 wear protective clothing 1.2 mm rigid plastic signs with s/a backing. UK PPE signs - A4 wear protective clothing 1.2 mm rigid plastic signs with self adhesive backing. UK PPE signs 150 x 125 mm wear ear protectors self adhesive vinyl labels. UK PPE signs - 150 x 125 mm wear ear protectors self adhesive vinyl labels. UK PPE signs 150 x 125 mm wear ear protectors when self adhesive vinyl labels. UK PPE signs - 150 x 125 mm wear ear protectors when self adhesive vinyl labels. UK PPE signs 100 x 250 mm wear ear protectors when self adhesive vinyl labels. UK PPE signs - 100 x 250 mm wear ear protectors when self adhesive vinyl labels. UK PPE signs 150 x 125 mm wear ear protectors 1.2 mm rigid plastic signs. UK PPE signs - 150 x 125 mm wear ear protectors 1.2 mm rigid plastic signs. UK PPE signs 150 x 125 mm wear ear protectors when 1.2 mm rigid plastic signs. UK PPE signs - 150 x 125 mm wear ear protectors when 1.2 mm rigid plastic signs. UK PPE signs 100 x 250 mm wear ear protectors self adhesive vinyl labels. UK PPE signs - 100 x 250 mm wear ear protectors self adhesive vinyl labels. UK PPE signs 100 x 250 mm wear ear protectors 1.2 mm rigid plastic signs. UK PPE signs - 100 x 250 mm wear ear protectors 1.2 mm rigid plastic signs. UK PPE signs 100 x 250 mm wear ear protectors when 1.2 mm rigid plastic signs. UK PPE signs - 100 x 250 mm wear ear protectors when 1.2 mm rigid plastic signs. UK PPE signs 300 x 250 mm wear ear protectors when self adhesive vinyl labels. UK PPE signs - 300 x 250 mm wear ear protectors when self adhesive vinyl labels. UK PPE signs 350 x 250 mm wear ear protectors self adhesive vinyl labels. UK PPE signs - 350 x 250 mm wear ear protectors self adhesive vinyl labels. UK PPE signs 400 x 300 mm wear ear protectors self adhesive vinyl labels. UK PPE signs - 400 x 300 mm wear ear protectors self adhesive vinyl labels. UK PPE signs 400 x 300 mm wear ear protectors when self adhesive vinyl labels. 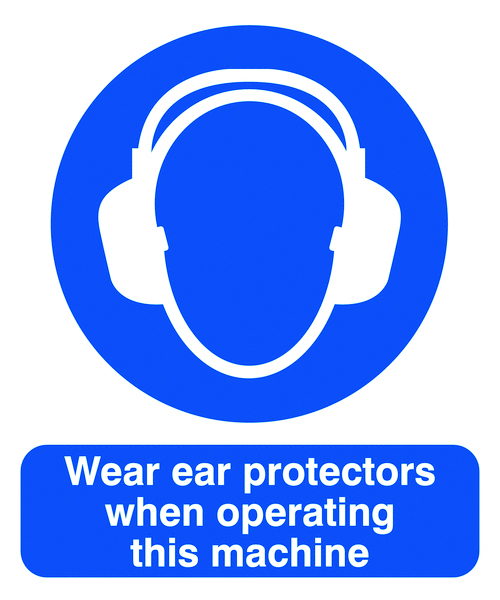 UK PPE signs - 400 x 300 mm wear ear protectors when self adhesive vinyl labels. UK PPE signs 300 x 250 mm wear ear protectors self adhesive vinyl labels. UK PPE signs - 300 x 250 mm wear ear protectors self adhesive vinyl labels. UK PPE signs 250 x 300 mm wear ear protectors self adhesive vinyl labels. UK PPE signs - 250 x 300 mm wear ear protectors self adhesive vinyl labels. UK PPE signs 150 x 125 mm wear ear protectors 1.2 mm rigid plastic signs with s/a backing. UK PPE signs - 150 x 125 mm wear ear protectors 1.2 mm rigid plastic signs with self adhesive backing. UK PPE signs 150 x 125 mm wear ear protectors when 1.2 mm rigid plastic signs with s/a backing. UK PPE signs - 150 x 125 mm wear ear protectors when 1.2 mm rigid plastic signs with self adhesive backing. UK PPE signs 300 x 250 mm wear ear protectors 1.2 mm rigid plastic signs. UK PPE signs - 300 x 250 mm wear ear protectors 1.2 mm rigid plastic signs. UK PPE signs 300 x 250 mm wear ear protectors when 1.2 mm rigid plastic signs. UK PPE signs - 300 x 250 mm wear ear protectors when 1.2 mm rigid plastic signs. UK PPE signs 350 x 250 mm wear ear protectors 1.2 mm rigid plastic signs. UK PPE signs - 350 x 250 mm wear ear protectors 1.2 mm rigid plastic signs. UK PPE signs 300 x 600 mm wear ear protectors self adhesive vinyl labels. UK PPE signs - 300 x 600 mm wear ear protectors self adhesive vinyl labels. UK PPE signs 400 x 300 mm wear ear protectors 1.2 mm rigid plastic signs. UK PPE signs - 400 x 300 mm wear ear protectors 1.2 mm rigid plastic signs. UK PPE signs 400 x 300 mm wear ear protectors when 1.2 mm rigid plastic signs. UK PPE signs - 400 x 300 mm wear ear protectors when 1.2 mm rigid plastic signs. UK PPE signs 250 x 300 mm wear ear protectors 1.2 mm rigid plastic signs. UK PPE signs - 250 x 300 mm wear ear protectors 1.2 mm rigid plastic signs. UK PPE signs A2 420 x 598 mm wear ear protectors self adhesive vinyl labels. UK PPE signs - A2 wear ear protectors self adhesive vinyl labels. UK PPE signs 600 x 450 mm wear ear protectors self adhesive vinyl labels. UK PPE signs - 600 x 450 mm wear ear protectors self adhesive vinyl labels. UK PPE signs 300 x 600 mm wear ear protectors 1.2 mm rigid plastic signs. UK PPE signs - 300 x 600 mm wear ear protectors 1.2 mm rigid plastic signs. UK PPE signs A2 420 x 598 mm wear ear protectors 1.2 mm rigid plastic signs. UK PPE signs - A2 wear ear protectors 1.2 mm rigid plastic signs. UK PPE signs 300 x 250 mm wear ear protectors when 1.2 mm rigid plastic signs with s/a backing. UK PPE signs - 300 x 250 mm wear ear protectors when 1.2 mm rigid plastic signs with self adhesive backing. UK PPE signs 300 x 250 mm wear ear protectors 1.2 mm rigid plastic signs with s/a backing. UK PPE signs - 300 x 250 mm wear ear protectors 1.2 mm rigid plastic signs with self adhesive backing. UK PPE signs 250 x 300 mm wear ear protectors 1.2 mm rigid plastic signs with s/a backing. UK PPE signs - 250 x 300 mm wear ear protectors 1.2 mm rigid plastic signs with self adhesive backing. UK PPE signs 350 x 250 mm wear ear protectors 1.2 mm rigid plastic signs with s/a backing. UK PPE signs - 350 x 250 mm wear ear protectors 1.2 mm rigid plastic signs with self adhesive backing. UK PPE signs 600 x 450 mm wear ear protectors 1.2 mm rigid plastic signs. UK PPE signs - 600 x 450 mm wear ear protectors 1.2 mm rigid plastic signs. UK PPE signs 400 x 300 mm wear ear protectors when 1.2 mm rigid plastic signs with s/a backing. 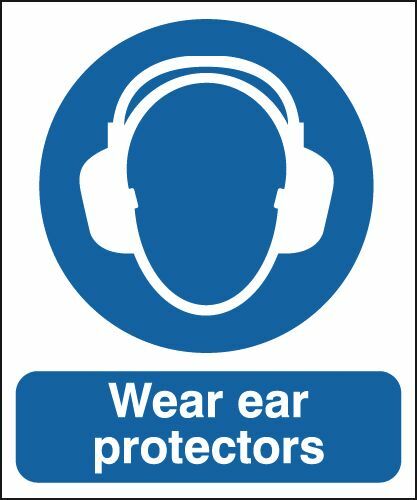 UK PPE signs - 400 x 300 mm wear ear protectors when 1.2 mm rigid plastic signs with self adhesive backing. UK PPE signs 400 x 300 mm wear ear protectors 1.2 mm rigid plastic signs with s/a backing. UK PPE signs - 400 x 300 mm wear ear protectors 1.2 mm rigid plastic signs with self adhesive backing. UK PPE signs 300 x 600 mm wear ear protectors 1.2 mm rigid plastic signs with s/a backing. 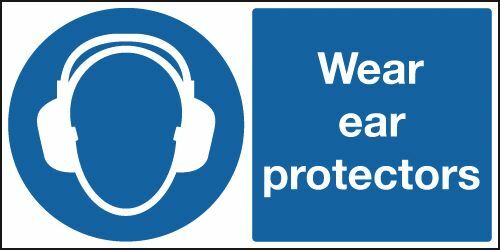 UK PPE signs - 300 x 600 mm wear ear protectors 1.2 mm rigid plastic signs with self adhesive backing. UK PPE signs A2 420 x 598 mm wear ear protectors 1.2 mm rigid plastic signs with s/a backing. UK PPE signs - A2 wear ear protectors 1.2 mm rigid plastic signs with self adhesive backing. UK PPE signs 600 x 450 mm wear ear protectors 1.2 mm rigid plastic signs with s/a backing. UK PPE signs - 600 x 450 mm wear ear protectors 1.2 mm rigid plastic signs with self adhesive backing. UK PPE signs 100 x 250 mm protective footwear must be worn self adhesive vinyl labels. UK PPE signs - 100 x 250 mm protective footwear must be worn self adhesive vinyl labels. UK PPE signs A5protective footwear must be worn self adhesive vinyl labels. UK PPE signs - A5 protective footwear must be worn self adhesive vinyl labels. UK PPE signs A5protective footwear must be worn 1.2 mm rigid plastic signs. 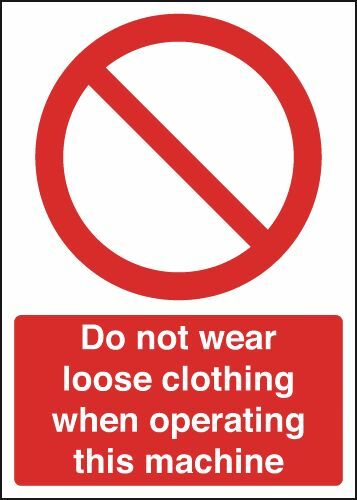 UK PPE signs - A5 protective footwear must be worn 1.2 mm rigid plastic signs. UK PPE signs 100 x 250 mm protective footwear must be worn 1.2 mm rigid plastic signs. UK PPE signs - 100 x 250 mm protective footwear must be worn 1.2 mm rigid plastic signs. UK PPE signs 300 x 250 mm protective footwear must be worn self adhesive vinyl labels. UK PPE signs - 300 x 250 mm protective footwear must be worn self adhesive vinyl labels. UK PPE signs 400 x 300 mm protective footwear must be worn self adhesive vinyl labels. UK PPE signs - 400 x 300 mm protective footwear must be worn self adhesive vinyl labels. UK PPE signs A4 protective footwear must be worn self adhesive vinyl labels. UK PPE signs - A4 protective footwear must be worn self adhesive vinyl labels. UK PPE signs A3 protective footwear must be worn self adhesive vinyl labels. UK PPE signs - A3 protective footwear must be worn self adhesive vinyl labels. UK PPE signs 300 x 250 mm protective footwear must be worn 1.2 mm rigid plastic signs. UK PPE signs - 300 x 250 mm protective footwear must be worn 1.2 mm rigid plastic signs. UK PPE signs A4 protective footwear must be worn 1.2 mm rigid plastic signs. UK PPE signs - A4 protective footwear must be worn 1.2 mm rigid plastic signs. UK PPE signs 400 x 300 mm protective footwear must be worn 1.2 mm rigid plastic signs. UK PPE signs - 400 x 300 mm protective footwear must be worn 1.2 mm rigid plastic signs. UK PPE signs 600 x 450 mm protective footwear must be worn self adhesive vinyl labels. UK PPE signs - 600 x 450 mm protective footwear must be worn self adhesive vinyl labels. UK PPE signs A3 protective footwear must be worn 1.2 mm rigid plastic signs. UK PPE signs - A3 protective footwear must be worn 1.2 mm rigid plastic signs. 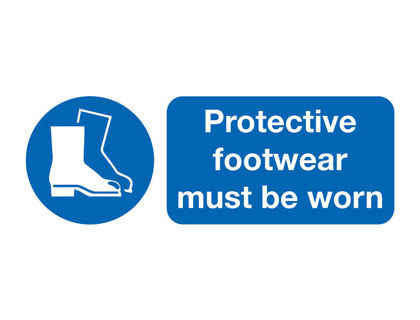 UK PPE signs A5protective footwear must be worn 1.2 mm rigid plastic signs with s/a backing. 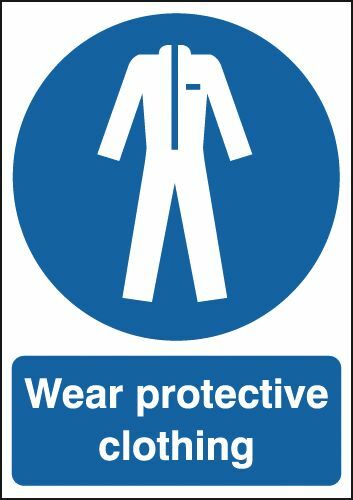 UK PPE signs - A5 protective footwear must be worn 1.2 mm rigid plastic signs with self adhesive backing. UK PPE signs A2 420 x 598 mm protective footwear must be worn self adhesive vinyl labels. UK PPE signs - A2 protective footwear must be worn self adhesive vinyl labels. UK PPE signs A2 420 x 598 mm protective footwear must be worn 1.2 mm rigid plastic signs. UK PPE signs - A2 protective footwear must be worn 1.2 mm rigid plastic signs. UK PPE signs 300 x 250 mm protective footwear must be worn 1.2 mm rigid plastic signs with s/a backing. UK PPE signs - 300 x 250 mm protective footwear must be worn 1.2 mm rigid plastic signs with self adhesive backing. UK PPE signs 600 x 450 mm protective footwear must be worn 1.2 mm rigid plastic signs. UK PPE signs - 600 x 450 mm protective footwear must be worn 1.2 mm rigid plastic signs. UK PPE signs A1 protective footwear must be worn self adhesive vinyl labels. UK PPE signs - A1 protective footwear must be worn self adhesive vinyl labels. UK PPE signs 400 x 300 mm protective footwear must be worn 1.2 mm rigid plastic signs with s/a backing. UK PPE signs - 400 x 300 mm protective footwear must be worn 1.2 mm rigid plastic signs with self adhesive backing. 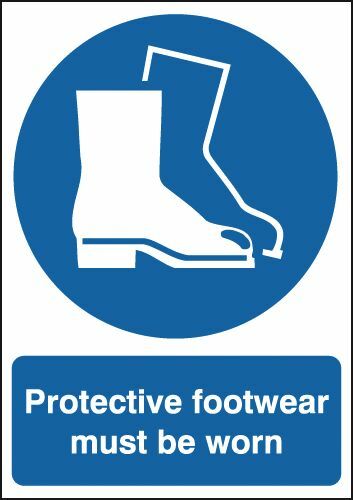 UK PPE signs A1 protective footwear must be worn 1.2 mm rigid plastic signs. UK PPE signs - A1 protective footwear must be worn 1.2 mm rigid plastic signs. UK PPE signs A3 protective footwear must be worn 1.2 mm rigid plastic signs with s/a backing. UK PPE signs - A3 protective footwear must be worn 1.2 mm rigid plastic signs with self adhesive backing. UK PPE signs A2 420 x 598 mm protective footwear must be worn 1.2 mm rigid plastic signs with s/a backing. 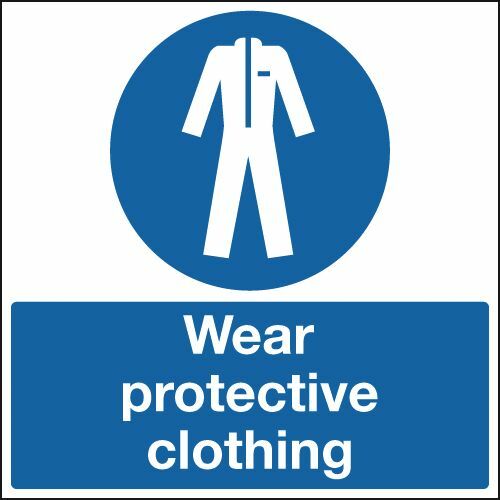 UK PPE signs - A2 protective footwear must be worn 1.2 mm rigid plastic signs with self adhesive backing. UK PPE signs 600 x 450 mm protective footwear must be worn 1.2 mm rigid plastic signs with s/a backing. UK PPE signs - 600 x 450 mm protective footwear must be worn 1.2 mm rigid plastic signs with self adhesive backing. UK PPE signs A1 protective footwear must be worn 1.2 mm rigid plastic signs with s/a backing. UK PPE signs - A1 protective footwear must be worn 1.2 mm rigid plastic signs with self adhesive backing. UK PPE signs A4 protective footwear must be worn 1.2 mm rigid plastic signs with s/a backing. UK PPE signs - A4 protective footwear must be worn 1.2 mm rigid plastic signs with self adhesive backing. 150 x 150 mm boots SYMBOLS self adhesive vinyl labels. 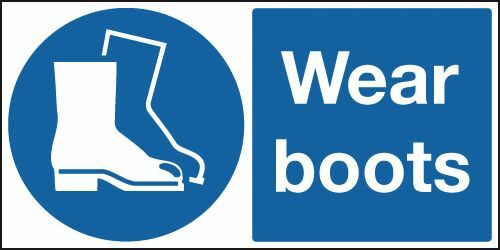 UK mandatory signs - 150 x 150 mm boots SYMBOLS self adhesive vinyl labels. 150 x 150 mm boots SYMBOLS 1.2 mm rigid plastic signs. 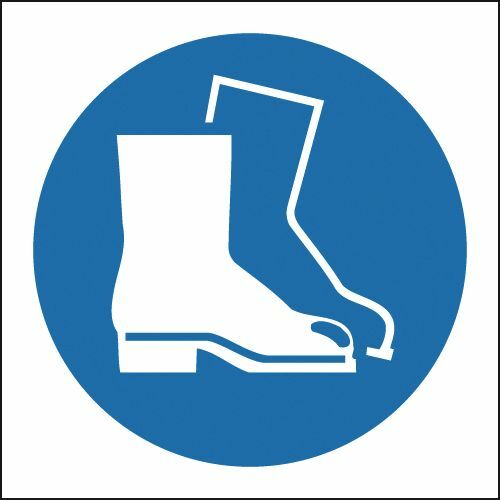 UK mandatory signs - 150 x 150 mm boots SYMBOLS 1.2 mm rigid plastic signs. 150 x 150 mm boots SYMBOLS 1.2 mm rigid plastic signs with s/a backing. 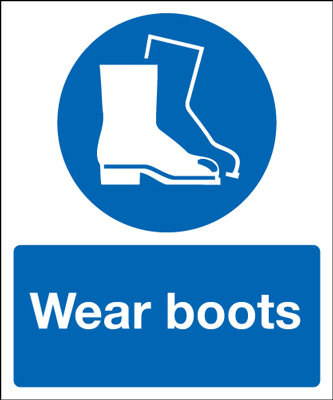 UK mandatory signs - 150 x 150 mm boots SYMBOLS 1.2 mm rigid plastic signs with self adhesive backing. UK PPE signs 50 x 100 mm wear gloves self adhesive vinyl labels. UK PPE signs - 50 x 100 mm wear gloves self adhesive vinyl labels. 150 x 150 mm gloves symbol self adhesive vinyl labels. 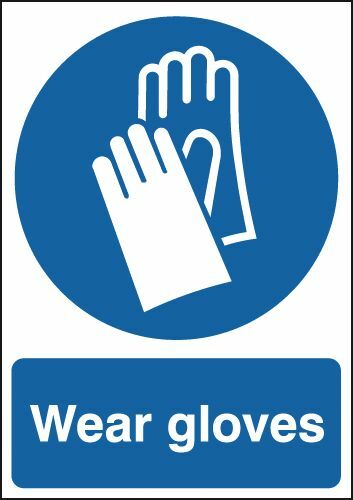 UK mandatory signs - 150 x 150 mm gloves symbol self adhesive vinyl labels. UK PPE signs 150 x 125 mm wear gloves self adhesive vinyl labels. UK PPE signs - 150 x 125 mm wear gloves self adhesive vinyl labels. UK PPE signs 50 x 100 mm wear gloves 1.2 mm rigid plastic signs. UK PPE signs - 50 x 100 mm wear gloves 1.2 mm rigid plastic signs. UK PPE signs 100 x 250 mm wear gloves self adhesive vinyl labels. UK PPE signs - 100 x 250 mm wear gloves self adhesive vinyl labels. UK PPE signs 150 x 125 mm wear gloves 1.2 mm rigid plastic signs. UK PPE signs - 150 x 125 mm wear gloves 1.2 mm rigid plastic signs. 150 x 150 mm gloves symbol 1.2 mm rigid plastic signs. 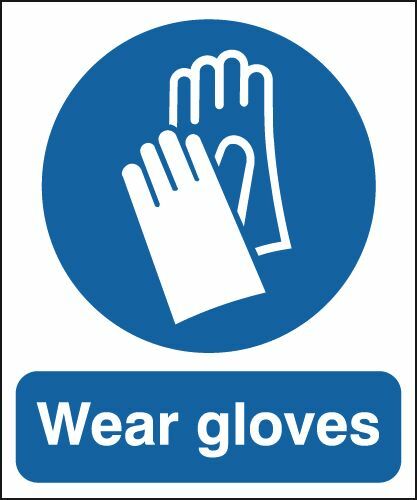 UK mandatory signs - 150 x 150 mm gloves symbol 1.2 mm rigid plastic signs. UK PPE signs 100 x 250 mm wear gloves 1.2 mm rigid plastic signs. UK PPE signs - 100 x 250 mm wear gloves 1.2 mm rigid plastic signs. 300 x 300 mm gloves symbol self adhesive vinyl labels. 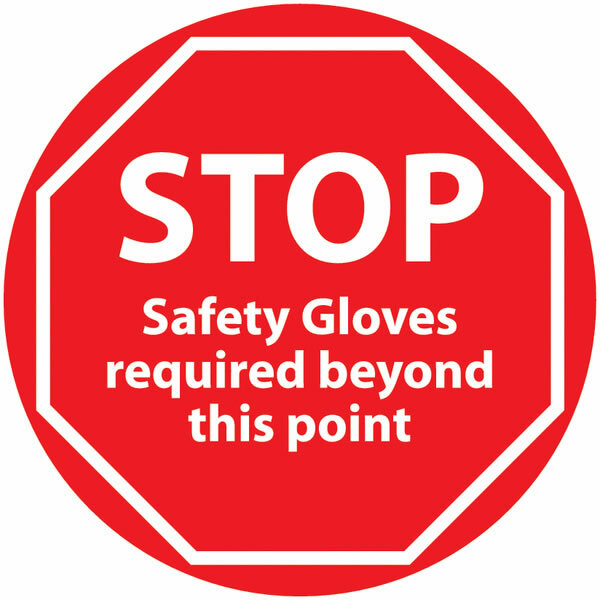 UK mandatory signs - 300 x 300 mm gloves symbol self adhesive vinyl labels. UK PPE signs 400 x 300 mm wear gloves self adhesive vinyl labels. UK PPE signs - 400 x 300 mm wear gloves self adhesive vinyl labels. UK PPE signs 50 x 100 mm wear gloves 1.2 mm rigid plastic signs with s/a backing. UK PPE signs - 50 x 100 mm wear gloves 1.2 mm rigid plastic signs with self adhesive backing. 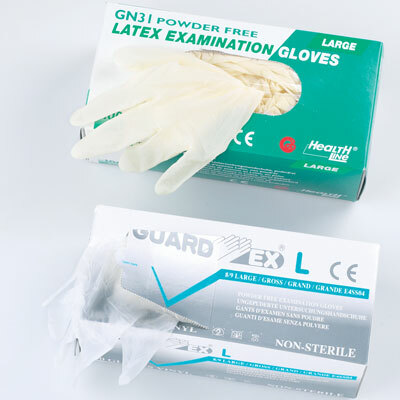 UK PPE signs 300 x 250 mm wear gloves self adhesive vinyl labels. UK PPE signs - 300 x 250 mm wear gloves self adhesive vinyl labels. UK PPE signs 150 x 125 mm wear gloves 1.2 mm rigid plastic signs with s/a backing. UK PPE signs - 150 x 125 mm wear gloves 1.2 mm rigid plastic signs with self adhesive backing. 150 x 150 mm gloves symbol 1.2 mm rigid plastic signs with s/a backing. 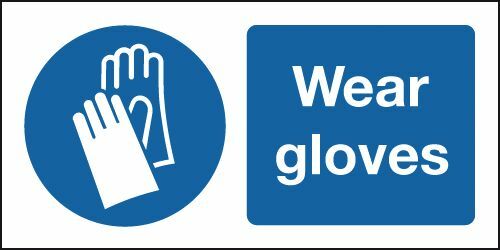 UK mandatory signs - 150 x 150 mm gloves symbol 1.2 mm rigid plastic signs with self adhesive backing. UK PPE signs 300 x 250 mm wear gloves 1.2 mm rigid plastic signs. UK PPE signs - 300 x 250 mm wear gloves 1.2 mm rigid plastic signs. 300 x 300 mm gloves symbol 1.2 mm rigid plastic signs. UK mandatory signs - 300 x 300 mm gloves symbol 1.2 mm rigid plastic signs. UK PPE signs 400 x 300 mm wear gloves 1.2 mm rigid plastic signs. UK PPE signs - 400 x 300 mm wear gloves 1.2 mm rigid plastic signs. 300 x 300 mm gloves symbol 1.2 mm rigid plastic signs with s/a backing. 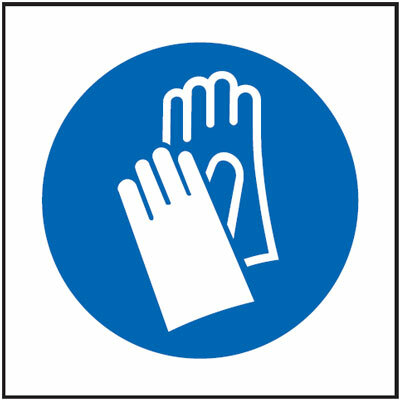 UK mandatory signs - 300 x 300 mm gloves symbol 1.2 mm rigid plastic signs with self adhesive backing. UK PPE signs 300 x 250 mm wear gloves 1.2 mm rigid plastic signs with s/a backing. UK PPE signs - 300 x 250 mm wear gloves 1.2 mm rigid plastic signs with self adhesive backing. UK PPE signs 400 x 300 mm wear gloves 1.2 mm rigid plastic signs with s/a backing. UK PPE signs - 400 x 300 mm wear gloves 1.2 mm rigid plastic signs with self adhesive backing. UK PPE signs A2 420 x 598 mm warning hazardous substances wear self adhesive vinyl labels. UK PPE signs - A2 warning hazardous substances wear self adhesive vinyl labels. UK PPE signs A2 420 x 598 mm warning hazardous substances wear 1.2 mm rigid plastic signs. UK PPE signs - A2 warning hazardous substances wear 1.2 mm rigid plastic signs. UK PPE signs A2 420 x 598 mm warning hazardous substances wear 1.2 mm rigid plastic signs with s/a backing. UK PPE signs - A2 warning hazardous substances wear 1.2 mm rigid plastic signs with self adhesive backing. UK PPE signs 50 x 100 mm wear hard hats self adhesive vinyl labels. UK PPE signs - 50 x 100 mm wear hard hats self adhesive vinyl labels. UK PPE signs 50 x 100 mm wear hard hats 1.2 mm rigid plastic signs. UK PPE signs - 50 x 100 mm wear hard hats 1.2 mm rigid plastic signs. UK PPE signs 250 x 100 mm wear hard hats self adhesive vinyl labels. UK PPE signs - 250 x 100 mm wear hard hats self adhesive self adhesive vinyl labels. UK PPE signs 150 x 125 mm wear hard hats 1.2 mm rigid plastic signs. UK PPE signs - 150 x 125 mm wear hard hats 1.2 mm rigid plastic signs. UK PPE signs 150 x 125 mm wear hard hats self adhesive vinyl labels. UK PPE signs - 150 x 125 mm wear hard hats self adhesive vinyl labels. UK PPE signs 250 x 100 mm wear hard hats rigid 1.2 mm rigid plastic signs. UK PPE signs - 250 x 100 mm wear hard hats rigid 1.2 mm rigid plastic signs. UK PPE signs 300 x 250 mm wear hard hats self adhesive vinyl labels. UK PPE signs - 300 x 250 mm wear hard hats self adhesive vinyl labels. UK PPE signs 400 x 300 mm wear hard hats self adhesive vinyl labels. UK PPE signs - 400 x 300 mm wear hard hats self adhesive vinyl labels. UK PPE signs 200 x 400 mm wear hard hats self adhesive vinyl labels. UK PPE signs - 200 x 400 mm wear hard hats self adhesive vinyl labels. UK PPE signs 50 x 100 mm wear hard hats 1.2 mm rigid plastic signs with s/a backing. 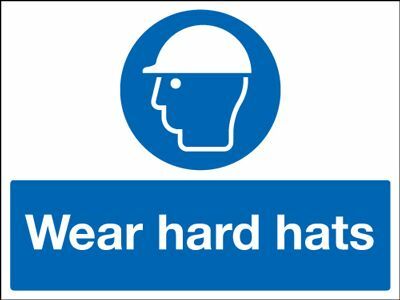 UK PPE signs - 50 x 100 mm wear hard hats 1.2 mm rigid plastic signs with self adhesive backing. UK PPE signs 150 x 125 mm wear hard hats 1.2 mm rigid plastic signs with s/a backing. 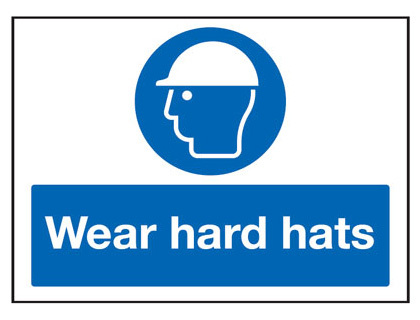 UK PPE signs - 150 x 125 mm wear hard hats 1.2 mm rigid plastic signs with self adhesive backing. UK PPE signs 300 x 250 mm wear hard hats 1.2 mm rigid plastic signs. UK PPE signs - 300 x 250 mm wear hard hats 1.2 mm rigid plastic signs. UK PPE signs 200 x 400 mm wear hard hats 1.2 mm rigid plastic signs. UK PPE signs - 200 x 400 mm wear hard hats 1.2 mm rigid plastic signs. UK PPE signs 400 x 300 mm wear hard hats 1.2 mm rigid plastic signs. UK PPE signs - 400 x 300 mm wear hard hats 1.2 mm rigid plastic signs. UK PPE signs 200 x 400 mm wear hard hats 1.2 mm rigid plastic signs with s/a backing. UK PPE signs - 200 x 400 mm wear hard hats 1.2 mm rigid plastic signs with self adhesive backing. UK PPE signs 450 x 600 mm wear hard hats self adhesive vinyl labels. UK PPE signs - 450 x 600 mm wear hard hats self adhesive vinyl labels. UK PPE signs 600 x 450 mm wear hard hats self adhesive vinyl labels. UK PPE signs - 600 x 450 mm wear hard hats self adhesive vinyl labels. UK PPE signs 300 x 250 mm wear hard hats 1.2 mm rigid plastic signs with s/a backing. UK PPE signs - 300 x 250 mm wear hard hats 1.2 mm rigid plastic signs with self adhesive backing. UK PPE signs 600 x 450 mm wear hard hats 1.2 mm rigid plastic signs. UK PPE signs - 600 x 450 mm wear hard hats 1.2 mm rigid plastic signs. UK PPE signs 450 x 600 mm wear hard hats 1.2 mm rigid plastic signs. UK PPE signs - 450 x 600 mm wear hard hats 1.2 mm rigid plastic signs. UK PPE signs 400 x 300 mm wear hard hats 1.2 mm rigid plastic signs with s/a backing. UK PPE signs - 400 x 300 mm wear hard hats 1.2 mm rigid plastic signs with self adhesive backing. UK PPE signs 450 x 600 mm wear hard hats 1.2 mm rigid plastic signs with s/a backing. 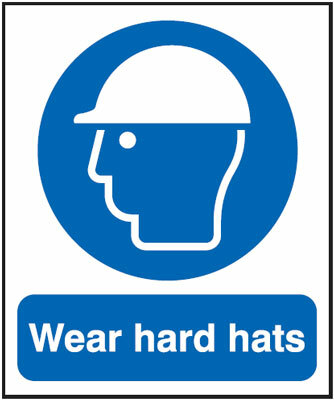 UK PPE signs - 450 x 600 mm wear hard hats 1.2 mm rigid plastic signs with self adhesive backing. UK PPE signs 600 x 450 mm wear hard hats 1.2 mm rigid plastic signs with s/a backing. UK PPE signs - 600 x 450 mm wear hard hats 1.2 mm rigid plastic signs with self adhesive backing. UK PPE signs 250 x 350 mm this is a laboratory area wear self adhesive vinyl labels. 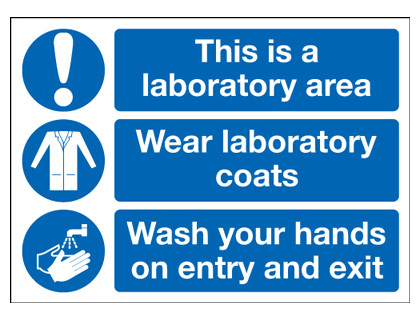 UK PPE signs - 250 x 350 mm this is a laboratory area wear self adhesive vinyl labels. UK PPE signs 250 x 350 mm this is a laboratory area wear 1.2 mm rigid plastic signs. UK PPE signs - 250 x 350 mm this is a laboratory area wear 1.2 mm rigid plastic signs. UK PPE signs 150 x 125 mm wear safety harness Steel self adhesive vinyl labels. UK PPE signs - 150 x 125 mm wear safety harness self adhesive vinyl labels. UK PPE signs A5wear safety harness Steel self adhesive vinyl labels. UK PPE signs - A5 wear safety harness self adhesive vinyl labels. UK PPE signs 100 x 250 mm wear safety harness Steel self adhesive vinyl labels. UK PPE signs - 100 x 250 mm wear safety harness self adhesive vinyl labels. 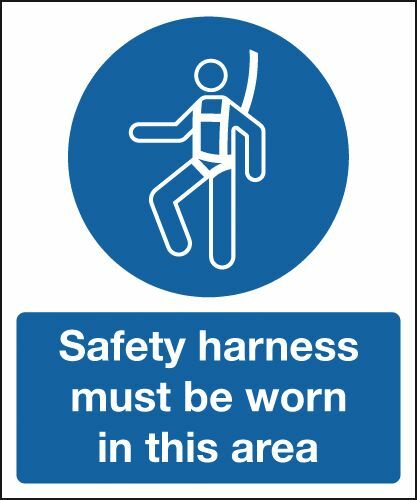 150 x 125 mm safety harness Steel must be worn in 1.2 mm rigid plastic signs. 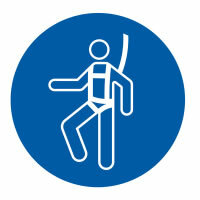 UK mandatory signs - 150 x 125 mm safety harness must be worn in 1.2 mm rigid plastic signs. 150 x 125 mm safety harness Steel must be worn in self adhesive vinyl labels. UK mandatory signs - 150 x 125 mm safety harness must be worn in self adhesive vinyl labels. UK PPE signs 250 x 200 mm wear safety harness Steel self adhesive vinyl labels. UK PPE signs - 250 x 200 mm wear safety harness self adhesive vinyl labels. UK PPE signs A5wear safety harness Steel 1.2 mm rigid plastic signs. UK PPE signs - A5 wear safety harness 1.2 mm rigid plastic signs. UK PPE signs 150 x 125 mm wear safety harness Steel 1.2 mm rigid plastic signs. UK PPE signs - 150 x 125 mm wear safety harness 1.2 mm rigid plastic signs. UK PPE signs 100 x 250 mm wear safety harness Steel 1.2 mm rigid plastic signs. UK PPE signs - 100 x 250 mm wear safety harness 1.2 mm rigid plastic signs. UK PPE signs 300 x 250 mm wear safety harness Steel self adhesive vinyl labels. UK PPE signs - 300 x 250 mm wear safety harness self adhesive vinyl labels. 300 x 250 mm safety harness Steel must be worn in self adhesive vinyl labels. UK mandatory signs - 300 x 250 mm safety harness must be worn in self adhesive vinyl labels. UK PPE signs 400 x 300 mm wear safety harness Steel self adhesive vinyl labels. 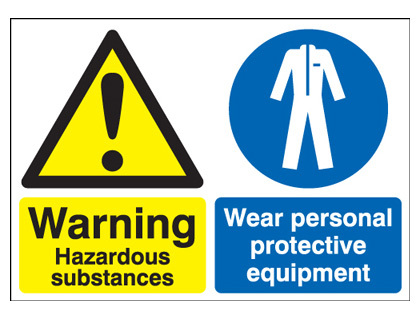 UK PPE signs - 400 x 300 mm wear safety harness self adhesive vinyl labels. UK PPE signs 250 x 200 mm wear safety harness Steel 1.2 mm rigid plastic signs. UK PPE signs - 250 x 200 mm wear safety harness 1.2 mm rigid plastic signs. UK PPE signs A4 wear safety harness Steel self adhesive vinyl labels. UK PPE signs - A4 wear safety harness self adhesive vinyl labels. UK PPE signs A3 wear safety harness Steel self adhesive vinyl labels. UK PPE signs - A3 wear safety harness self adhesive vinyl labels. 150 x 125 mm safety harness Steel must be worn in 1.2 mm rigid plastic signs with s/a backing. 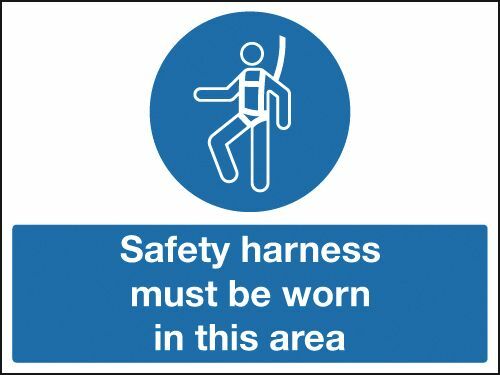 UK mandatory signs - 150 x 125 mm safety harness must be worn in 1.2 mm rigid plastic signs with self adhesive backing. 300 x 250 mm safety harness Steel must be worn in 1.2 mm rigid plastic signs. UK mandatory signs - 300 x 250 mm safety harness must be worn in 1.2 mm rigid plastic signs. UK PPE signs A4 wear safety harness Steel 1.2 mm rigid plastic signs. UK PPE signs - A4 wear safety harness 1.2 mm rigid plastic signs. UK PPE signs 150 x 125 mm wear safety harness Steel 1.2 mm rigid plastic signs with s/a backing. UK PPE signs - 150 x 125 mm wear safety harness 1.2 mm rigid plastic signs with self adhesive backing. UK PPE signs 400 x 300 mm wear safety harness Steel 1.2 mm rigid plastic signs. UK PPE signs - 400 x 300 mm wear safety harness 1.2 mm rigid plastic signs. UK PPE signs 300 x 250 mm wear safety harness Steel 1.2 mm rigid plastic signs. UK PPE signs - 300 x 250 mm wear safety harness 1.2 mm rigid plastic signs. UK PPE signs A3 wear safety harness Steel 1.2 mm rigid plastic signs. UK PPE signs - A3 wear safety harness 1.2 mm rigid plastic signs. UK PPE signs A5wear safety harness Steel 1.2 mm rigid plastic signs with s/a backing. UK PPE signs - A5 wear safety harness 1.2 mm rigid plastic signs with self adhesive backing. UK PPE signs A2 420 x 598 mm wear safety harness Steel self adhesive vinyl labels. UK PPE signs - A2 wear safety harness self adhesive vinyl labels. 450 x 600 mm safety harness Steel must be worn in self adhesive vinyl labels. UK mandatory signs - 450 x 600 mm safety harness must be worn in self adhesive vinyl labels. UK PPE signs A2 420 x 598 mm wear safety harness Steel 1.2 mm rigid plastic signs. UK PPE signs - A2 wear safety harness 1.2 mm rigid plastic signs. UK PPE signs 300 x 250 mm wear safety harness Steel 1.2 mm rigid plastic signs with s/a backing. UK PPE signs - 300 x 250 mm wear safety harness 1.2 mm rigid plastic signs with self adhesive backing. 300 x 250 mm safety harness Steel must be worn in 1.2 mm rigid plastic signs with s/a backing. UK mandatory signs - 300 x 250 mm safety harness must be worn in 1.2 mm rigid plastic signs with self adhesive backing. UK PPE signs A1 wear safety harness Steel self adhesive vinyl labels. UK PPE signs - A1 wear safety harness self adhesive vinyl labels. 450 x 600 mm safety harness Steel must be worn in 1.2 mm rigid plastic signs. 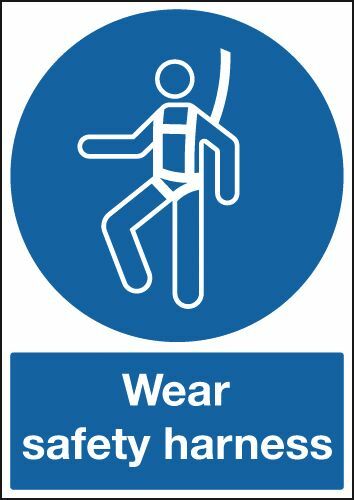 UK mandatory signs - 450 x 600 mm safety harness must be worn in 1.2 mm rigid plastic signs. UK PPE signs A3 wear safety harness Steel 1.2 mm rigid plastic signs with s/a backing. UK PPE signs - A3 wear safety harness 1.2 mm rigid plastic signs with self adhesive backing. UK PPE signs A2 420 x 598 mm wear safety harness Steel 1.2 mm rigid plastic signs with s/a backing. UK PPE signs - A2 wear safety harness 1.2 mm rigid plastic signs with self adhesive backing. UK PPE signs A1 wear safety harness Steel 1.2 mm rigid plastic signs. UK PPE signs - A1 wear safety harness 1.2 mm rigid plastic signs. 450 x 600 mm safety harness Steel must be worn in 1.2 mm rigid plastic signs with s/a backing. 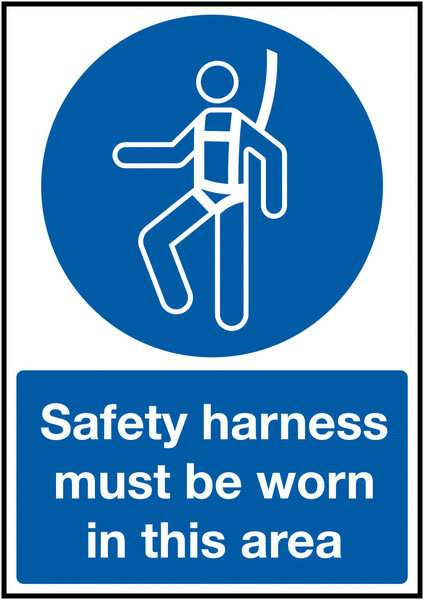 UK mandatory signs - 450 x 600 mm safety harness must be worn in 1.2 mm rigid plastic signs with self adhesive backing. UK PPE signs A1 wear safety harness Steel 1.2 mm rigid plastic signs with s/a backing. UK PPE signs - A1 wear safety harness 1.2 mm rigid plastic signs with self adhesive backing. UK PPE signs A4 wear safety harness Steel 1.2 mm rigid plastic signs with s/a backing. UK PPE signs - A4 wear safety harness 1.2 mm rigid plastic signs with self adhesive backing. UK PPE signs 70 x 50 wear seat belts self adhesive vinyl labels. UK PPE signs - 70 x 50 wear seat belts self adhesive vinyl labels. UK PPE signs 100 x 75 mm wear seat belts self adhesive vinyl labels. UK PPE signs - 100 x 75 mm wear seat belts self adhesive vinyl labels. UK PPE signs 70 x 50 wear seat belts 1.2 mm rigid plastic signs. UK PPE signs - 70 x 50 wear seat belts 1.2 mm rigid plastic signs. 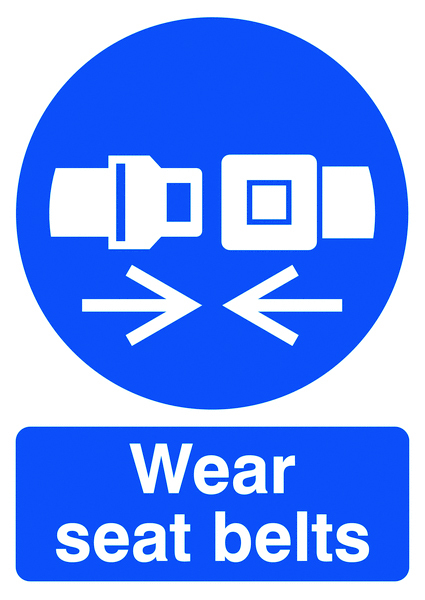 UK PPE signs 100 x 75 mm wear seat belts 1.2 mm rigid plastic signs. UK PPE signs - 100 x 75 mm wear seat belts 1.2 mm rigid plastic signs. UK PPE signs 150 x 125 mm wear seat belts self adhesive vinyl labels. UK PPE signs - 150 x 125 mm wear seat belts self adhesive vinyl labels. UK PPE signs A5wear seat belts self adhesive vinyl labels. UK PPE signs - A5 wear seat belts self adhesive vinyl labels. UK PPE signs 150 x 125 mm wear seat belts 1.2 mm rigid plastic signs. UK PPE signs - 150 x 125 mm wear seat belts 1.2 mm rigid plastic signs. UK PPE signs A5wear seat belts 1.2 mm rigid plastic signs. UK PPE signs - A5 wear seat belts 1.2 mm rigid plastic signs. UK PPE signs A4 wear seat belts self adhesive vinyl labels. UK PPE signs - A4 wear seat belts self adhesive vinyl labels. UK PPE signs A3 wear seat belts self adhesive vinyl labels. UK PPE signs - A3 wear seat belts self adhesive vinyl labels. UK PPE signs 150 x 125 mm wear seat belts 1.2 mm rigid plastic signs with s/a backing. UK PPE signs - 150 x 125 mm wear seat belts 1.2 mm rigid plastic signs with self adhesive backing. UK PPE signs A4 wear seat belts 1.2 mm rigid plastic signs. UK PPE signs - A4 wear seat belts 1.2 mm rigid plastic signs. UK PPE signs A3 wear seat belts 1.2 mm rigid plastic signs. UK PPE signs - A3 wear seat belts 1.2 mm rigid plastic signs. UK PPE signs A5wear seat belts 1.2 mm rigid plastic signs with s/a backing. UK PPE signs - A5 wear seat belts 1.2 mm rigid plastic signs with self adhesive backing. UK PPE signs A2 420 x 598 mm wear seat belts self adhesive vinyl labels. UK PPE signs - A2 wear seat belts self adhesive vinyl labels. UK PPE signs A2 420 x 598 mm wear seat belts 1.2 mm rigid plastic signs. UK PPE signs - A2 wear seat belts 1.2 mm rigid plastic signs. UK PPE signs A1 wear seat belts self adhesive vinyl labels. UK PPE signs - A1 wear seat belts self adhesive vinyl labels. UK PPE signs A1 wear seat belts 1.2 mm rigid plastic signs. UK PPE signs - A1 wear seat belts 1.2 mm rigid plastic signs. UK PPE signs A2 420 x 598 mm wear seat belts 1.2 mm rigid plastic signs with s/a backing. UK PPE signs - A2 wear seat belts 1.2 mm rigid plastic signs with self adhesive backing. UK PPE signs A3 wear seat belts 1.2 mm rigid plastic signs with s/a backing. UK PPE signs - A3 wear seat belts 1.2 mm rigid plastic signs with self adhesive backing. UK PPE signs A1 wear seat belts 1.2 mm rigid plastic signs with s/a backing. UK PPE signs - A1 wear seat belts 1.2 mm rigid plastic signs with self adhesive backing. UK PPE signs A4 wear seat belts 1.2 mm rigid plastic signs with s/a backing. UK PPE signs - A4 wear seat belts 1.2 mm rigid plastic signs with self adhesive backing. UK PPE signs 100 x 250 mm wear boots self adhesive vinyl labels. UK PPE signs - 100 x 250 mm wear boots self adhesive vinyl labels. UK PPE signs 100 x 250 mm wear boots 1.2 mm rigid plastic signs. UK PPE signs - 100 x 250 mm wear boots 1.2 mm rigid plastic signs. UK PPE signs 300 x 250 mm wear boots self adhesive vinyl labels. UK PPE signs - 300 x 250 mm wear boots self adhesive vinyl labels. UK PPE signs 400 x 300 mm wear boots self adhesive vinyl labels. UK PPE signs - 400 x 300 mm wear boots self adhesive vinyl labels. UK PPE signs 300 x 250 mm wear boots 1.2 mm rigid plastic signs. UK PPE signs - 300 x 250 mm wear boots 1.2 mm rigid plastic signs. UK PPE signs 450 x 450 mm wear boots self adhesive vinyl labels. UK PPE signs - 450 x 450 mm wear boots self adhesive vinyl labels. UK PPE signs 300 x 600 mm wear boots self adhesive vinyl labels. UK PPE signs - 300 x 600 mm wear boots self adhesive vinyl labels. UK PPE signs 400 x 300 mm wear boots 1.2 mm rigid plastic signs. UK PPE signs - 400 x 300 mm wear boots 1.2 mm rigid plastic signs. UK PPE signs 300 x 600 mm wear boots 1.2 mm rigid plastic signs. UK PPE signs - 300 x 600 mm wear boots 1.2 mm rigid plastic signs. UK PPE signs 450 x 450 mm wear boots 1.2 mm rigid plastic signs. UK PPE signs - 450 x 450 mm wear boots 1.2 mm rigid plastic signs. UK PPE signs 300 x 250 mm wear boots 1.2 mm rigid plastic signs with s/a backing. UK PPE signs - 300 x 250 mm wear boots 1.2 mm rigid plastic signs with self adhesive backing. UK PPE signs 400 x 300 mm wear boots 1.2 mm rigid plastic signs with s/a backing. 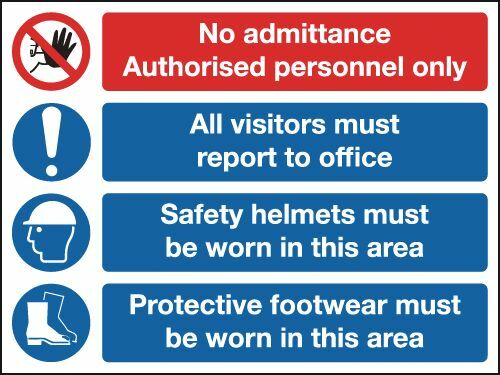 UK PPE signs - 400 x 300 mm wear boots 1.2 mm rigid plastic signs with self adhesive backing. UK PPE signs 300 x 600 mm wear boots 1.2 mm rigid plastic signs with s/a backing. UK PPE signs - 300 x 600 mm wear boots 1.2 mm rigid plastic signs with self adhesive backing. UK PPE signs 450 x 450 mm wear boots 1.2 mm rigid plastic signs with s/a backing. 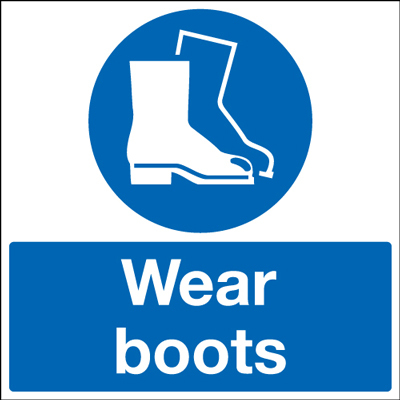 UK PPE signs - 450 x 450 mm wear boots 1.2 mm rigid plastic signs with self adhesive backing. UK PPE signs 150 x 125 mm wear dust mask self adhesive vinyl labels. UK PPE signs - 150 x 125 mm wear dust mask self adhesive vinyl labels. UK PPE signs 150 x 125 mm wear dust mask 1.2 mm rigid plastic signs. UK PPE signs - 150 x 125 mm wear dust mask 1.2 mm rigid plastic signs. UK PPE signs 250 x 100 mm wear dust mask rigid 1.2 mm rigid plastic signs. UK PPE signs - 250 x 100 mm wear dust mask rigid 1.2 mm rigid plastic signs. UK PPE signs 300 x 250 mm wear dust mask self adhesive vinyl labels. UK PPE signs - 300 x 250 mm wear dust mask self adhesive vinyl labels. UK PPE signs 400 x 300 mm wear dust mask self adhesive vinyl labels. UK PPE signs - 400 x 300 mm wear dust mask self adhesive vinyl labels. UK PPE signs 150 x 125 mm wear dust mask 1.2 mm rigid plastic signs with s/a backing. UK PPE signs - 150 x 125 mm wear dust mask 1.2 mm rigid plastic signs with self adhesive backing. UK PPE signs 400 x 300 mm wear dust mask 1.2 mm rigid plastic signs. UK PPE signs - 400 x 300 mm wear dust mask 1.2 mm rigid plastic signs. UK PPE signs 300 x 250 mm wear dust mask 1.2 mm rigid plastic signs. UK PPE signs - 300 x 250 mm wear dust mask 1.2 mm rigid plastic signs. UK PPE signs 300 x 250 mm wear dust mask 1.2 mm rigid plastic signs with s/a backing. 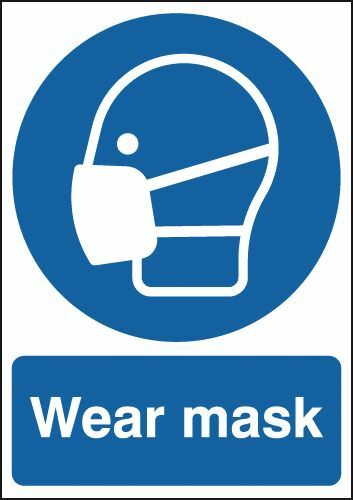 UK PPE signs - 300 x 250 mm wear dust mask 1.2 mm rigid plastic signs with self adhesive backing. UK PPE signs 400 x 300 mm wear dust mask 1.2 mm rigid plastic signs with s/a backing. 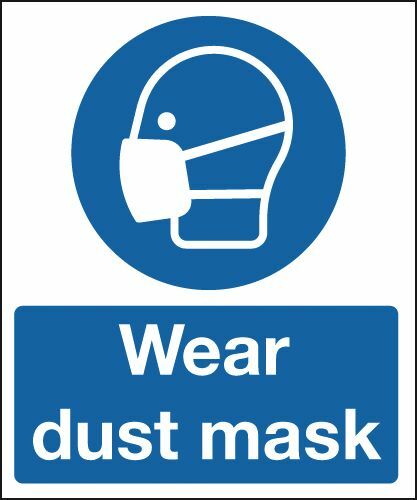 UK PPE signs - 400 x 300 mm wear dust mask 1.2 mm rigid plastic signs with self adhesive backing. UK PPE signs 150 x 125 mm wear face shield self adhesive vinyl labels. UK PPE signs - 150 x 125 mm wear face shield self adhesive vinyl labels. UK PPE signs 250 x 100 mm wear dust mask self adhesive vinyl labels. UK PPE signs - 250 x 100 mm wear dust mask self adhesive vinyl labels. UK PPE signs 100 x 250 mm wear face shield self adhesive vinyl labels. UK PPE signs - 100 x 250 mm wear face shield self adhesive vinyl labels. 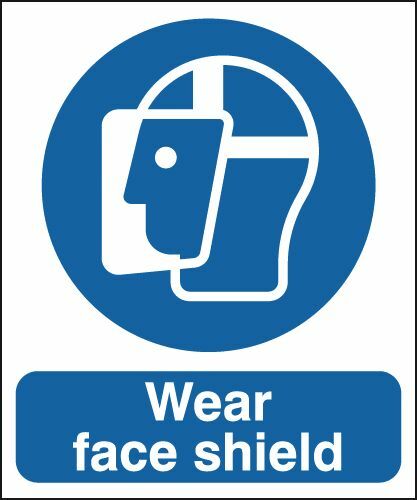 UK PPE signs 150 x 125 mm wear face shield 1.2 mm rigid plastic signs. UK PPE signs - 150 x 125 mm wear face shield 1.2 mm rigid plastic signs. UK PPE signs 100 x 250 mm wear face shield 1.2 mm rigid plastic signs. UK PPE signs - 100 x 250 mm wear face shield 1.2 mm rigid plastic signs. UK PPE signs 400 x 300 mm wear face shield self adhesive vinyl labels. UK PPE signs - 400 x 300 mm wear face shield self adhesive vinyl labels. UK PPE signs 300 x 250 mm wear face shield self adhesive vinyl labels. UK PPE signs - 300 x 250 mm wear face shield self adhesive vinyl labels. UK PPE signs 150 x 125 mm wear face shield 1.2 mm rigid plastic signs with s/a backing. UK PPE signs - 150 x 125 mm wear face shield 1.2 mm rigid plastic signs with self adhesive backing. UK PPE signs 400 x 300 mm wear face shield 1.2 mm rigid plastic signs. UK PPE signs - 400 x 300 mm wear face shield 1.2 mm rigid plastic signs. UK PPE signs 300 x 250 mm wear face shield 1.2 mm rigid plastic signs. UK PPE signs - 300 x 250 mm wear face shield 1.2 mm rigid plastic signs. UK PPE signs 300 x 250 mm wear face shield 1.2 mm rigid plastic signs with s/a backing. UK PPE signs - 300 x 250 mm wear face shield 1.2 mm rigid plastic signs with self adhesive backing. UK PPE signs 400 x 300 mm wear face shield 1.2 mm rigid plastic signs with s/a backing. UK PPE signs - 400 x 300 mm wear face shield 1.2 mm rigid plastic signs with self adhesive backing. UK PPE signs 150 x 125 mm wear goggles self adhesive vinyl labels. UK PPE signs - 150 x 125 mm wear goggles self adhesive vinyl labels. UK PPE signs 100 x 250 mm wear goggles self adhesive vinyl labels. UK PPE signs - 100 x 250 mm wear goggles self adhesive vinyl labels. 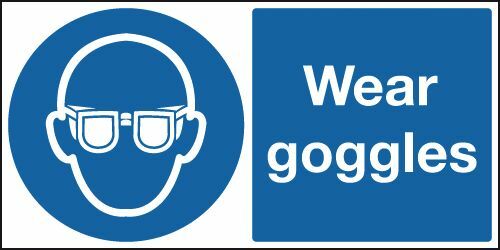 UK PPE signs 150 x 125 mm wear goggles 1.2 mm rigid plastic signs. UK PPE signs - 150 x 125 mm wear goggles 1.2 mm rigid plastic signs. UK PPE signs 100 x 250 mm wear goggles 1.2 mm rigid plastic signs. UK PPE signs - 100 x 250 mm wear goggles 1.2 mm rigid plastic signs. UK PPE signs 300 x 250 mm wear goggles self adhesive vinyl labels. UK PPE signs - 300 x 250 mm wear goggles self adhesive vinyl labels. UK PPE signs 400 x 300 mm wear goggles self adhesive vinyl labels. UK PPE signs - 400 x 300 mm wear goggles self adhesive vinyl labels. UK PPE signs 150 x 125 mm wear goggles 1.2 mm rigid plastic signs with s/a backing. UK PPE signs - 150 x 125 mm wear goggles 1.2 mm rigid plastic signs with self adhesive backing. UK PPE signs 300 x 250 mm wear goggles 1.2 mm rigid plastic signs. UK PPE signs - 300 x 250 mm wear goggles 1.2 mm rigid plastic signs. UK PPE signs 400 x 300 mm wear goggles 1.2 mm rigid plastic signs. UK PPE signs - 400 x 300 mm wear goggles 1.2 mm rigid plastic signs. UK PPE signs 300 x 600 mm wear goggles self adhesive vinyl labels. UK PPE signs - 300 x 600 mm wear goggles self adhesive vinyl labels. UK PPE signs 300 x 600 mm wear goggles 1.2 mm rigid plastic signs. UK PPE signs - 300 x 600 mm wear goggles 1.2 mm rigid plastic signs. UK PPE signs 300 x 250 mm wear goggles 1.2 mm rigid plastic signs with s/a backing. UK PPE signs - 300 x 250 mm wear goggles 1.2 mm rigid plastic signs with self adhesive backing. UK PPE signs 400 x 300 mm wear goggles 1.2 mm rigid plastic signs with s/a backing. 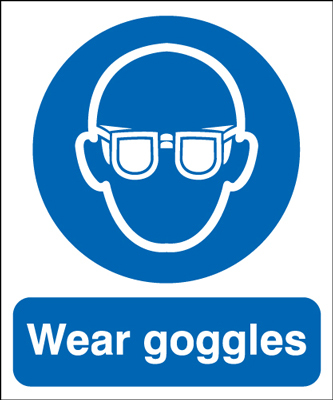 UK PPE signs - 400 x 300 mm wear goggles 1.2 mm rigid plastic signs with self adhesive backing. UK PPE signs 300 x 600 mm wear goggles 1.2 mm rigid plastic signs with s/a backing. UK PPE signs - 300 x 600 mm wear goggles 1.2 mm rigid plastic signs with self adhesive backing. UK PPE signs 150 x 125 mm wear hairnets self adhesive vinyl labels. UK PPE signs - 150 x 125 mm wear hairnets self adhesive vinyl labels. UK PPE signs 100 x 250 mm wear hairnets self adhesive vinyl labels. UK PPE signs - 100 x 250 mm wear hairnets self adhesive vinyl labels. UK PPE signs 150 x 125 mm wear hairnets 1.2 mm rigid plastic signs. UK PPE signs - 150 x 125 mm wear hairnets 1.2 mm rigid plastic signs. UK PPE signs 100 x 250 mm wear hairnets rigid 1.2 mm rigid plastic signs. UK PPE signs - 100 x 250 mm wear hairnets rigid 1.2 mm rigid plastic signs. UK PPE signs 400 x 300 mm wear hairnets self adhesive vinyl labels. UK PPE signs - 400 x 300 mm wear hairnets self adhesive vinyl labels. UK PPE signs 300 x 250 mm wear hairnets self adhesive vinyl labels. UK PPE signs - 300 x 250 mm wear hairnets self adhesive vinyl labels. UK PPE signs 150 x 125 mm wear hairnets 1.2 mm rigid plastic signs with s/a backing. 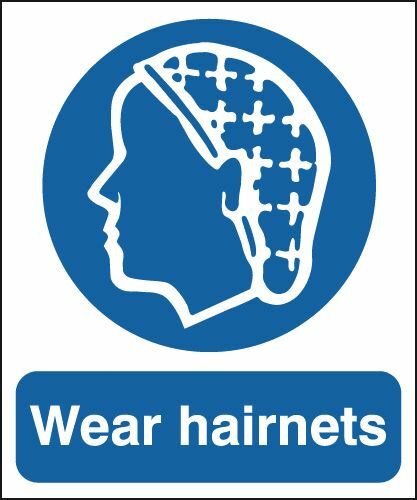 UK PPE signs - 150 x 125 mm wear hairnets 1.2 mm rigid plastic signs with self adhesive backing. UK PPE signs 300 x 250 mm wear hairnets 1.2 mm rigid plastic signs. UK PPE signs - 300 x 250 mm wear hairnets 1.2 mm rigid plastic signs. UK PPE signs 400 x 300 mm wear hairnets 1.2 mm rigid plastic signs. UK PPE signs - 400 x 300 mm wear hairnets 1.2 mm rigid plastic signs. UK PPE signs 300 x 250 mm wear hairnets 1.2 mm rigid plastic signs with s/a backing. UK PPE signs - 300 x 250 mm wear hairnets 1.2 mm rigid plastic signs with self adhesive backing. UK PPE signs 400 x 300 mm wear hairnets 1.2 mm rigid plastic signs with s/a backing. UK PPE signs - 400 x 300 mm wear hairnets 1.2 mm rigid plastic signs with self adhesive backing. UK PPE signs A5wear mask self adhesive vinyl labels. UK PPE signs - A5 wear mask self adhesive vinyl labels. UK PPE signs 150 x 125 mm wear mask self adhesive vinyl labels. UK PPE signs - 150 x 125 mm wear mask self adhesive vinyl labels. UK PPE signs 75 x 600 mm wear mask self adhesive vinyl labels. UK PPE signs - 75 x 600 mm wear mask self adhesive vinyl labels. UK PPE signs A5wear mask 1.2 mm rigid plastic signs. UK PPE signs - A5 wear mask 1.2 mm rigid plastic signs. UK PPE signs 100 x 250 mm wear mask self adhesive vinyl labels. UK PPE signs - 100 x 250 mm wear mask self adhesive vinyl labels. UK PPE signs 150 x 125 mm wear mask 1.2 mm rigid plastic signs. UK PPE signs - 150 x 125 mm wear mask 1.2 mm rigid plastic signs. UK PPE signs 300 x 250 mm wear mask self adhesive vinyl labels. UK PPE signs - 300 x 250 mm wear mask self adhesive vinyl labels. 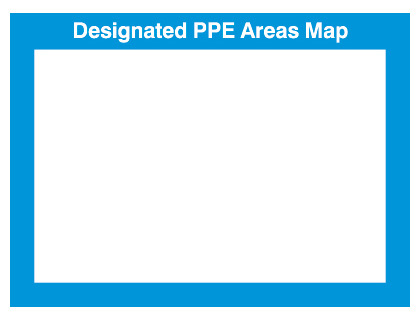 UK PPE signs 400 x 300 mm wear mask self adhesive vinyl labels. UK PPE signs - 400 x 300 mm wear mask self adhesive vinyl labels. UK PPE signs 75 x 600 mm wear mask 1.2 mm rigid plastic signs. UK PPE signs - 75 x 600 mm wear mask 1.2 mm rigid plastic signs. UK PPE signs A4 wear mask self adhesive vinyl labels. UK PPE signs - A4 wear mask self adhesive vinyl labels. UK PPE signs 100 x 250 mm wear mask 1.2 mm rigid plastic signs. UK PPE signs - 100 x 250 mm wear mask 1.2 mm rigid plastic signs. UK PPE signs A3 wear mask self adhesive vinyl labels. UK PPE signs - A3 wear mask self adhesive vinyl labels. UK PPE signs 150 x 125 mm wear mask 1.2 mm rigid plastic signs with s/a backing. UK PPE signs - 150 x 125 mm wear mask 1.2 mm rigid plastic signs with self adhesive backing. UK PPE signs 300 x 250 mm wear mask 1.2 mm rigid plastic signs. UK PPE signs - 300 x 250 mm wear mask 1.2 mm rigid plastic signs. UK PPE signs A4 wear mask 1.2 mm rigid plastic signs. UK PPE signs - A4 wear mask 1.2 mm rigid plastic signs. UK PPE signs 400 x 300 mm wear mask 1.2 mm rigid plastic signs. UK PPE signs - 400 x 300 mm wear mask 1.2 mm rigid plastic signs. UK PPE signs 600 x 450 mm wear mask self adhesive vinyl labels. UK PPE signs - 600 x 450 mm wear mask self adhesive vinyl labels. UK PPE signs A3 wear mask 1.2 mm rigid plastic signs. UK PPE signs - A3 wear mask 1.2 mm rigid plastic signs. UK PPE signs A2 420 x 598 mm wear mask self adhesive vinyl labels. UK PPE signs - A2 wear mask self adhesive vinyl labels. UK PPE signs A5wear mask 1.2 mm rigid plastic signs with s/a backing. UK PPE signs - A5 wear mask 1.2 mm rigid plastic signs with self adhesive backing. UK PPE signs A2 420 x 598 mm wear mask 1.2 mm rigid plastic signs. UK PPE signs - A2 wear mask 1.2 mm rigid plastic signs. UK PPE signs 300 x 250 mm wear mask 1.2 mm rigid plastic signs with s/a backing. UK PPE signs - 300 x 250 mm wear mask 1.2 mm rigid plastic signs with self adhesive backing. UK PPE signs 600 x 450 mm wear mask 1.2 mm rigid plastic signs. UK PPE signs - 600 x 450 mm wear mask 1.2 mm rigid plastic signs. UK PPE signs A1 wear mask self adhesive vinyl labels. UK PPE signs - A1 wear mask self adhesive vinyl labels. UK PPE signs 400 x 300 mm wear mask 1.2 mm rigid plastic signs with s/a backing. UK PPE signs - 400 x 300 mm wear mask 1.2 mm rigid plastic signs with self adhesive backing. UK PPE signs A1 wear mask 1.2 mm rigid plastic signs. UK PPE signs - A1 wear mask 1.2 mm rigid plastic signs. UK PPE signs A3 wear mask 1.2 mm rigid plastic signs with s/a backing. UK PPE signs - A3 wear mask 1.2 mm rigid plastic signs with self adhesive backing. UK PPE signs A2 420 x 598 mm wear mask 1.2 mm rigid plastic signs with s/a backing. UK PPE signs - A2 wear mask 1.2 mm rigid plastic signs with self adhesive backing. UK PPE signs 600 x 450 mm wear mask 1.2 mm rigid plastic signs with s/a backing. UK PPE signs - 600 x 450 mm wear mask 1.2 mm rigid plastic signs with self adhesive backing. UK PPE signs A1 wear mask 1.2 mm rigid plastic signs with s/a backing. UK PPE signs - A1 wear mask 1.2 mm rigid plastic signs with self adhesive backing. UK PPE signs A4 wear mask 1.2 mm rigid plastic signs with s/a backing. UK PPE signs - A4 wear mask 1.2 mm rigid plastic signs with self adhesive backing.